Within 6 miles (10 km) of this Tysons hotel, you'll find Wolf Trap National Park for the Performing Arts and Great Falls Park. Lincoln Memorial is within 12 miles (20 km) and George Washington University is within 16 miles (25 km). This hotel features an indoor pool, a 24-hour fitness center, and a restaurant. Traveling on business? Take advantage of the 24-hour business center and WiFi in public areas. Unwind with a drink at the bar/lounge and enjoy perks like free self parking and a free area shuttle. The 458 guestrooms feature comforts like pillowtop beds and premium bedding, while refrigerators and coffee/tea makers offer the conveniences of home. TVs come with cable channels, and other amenities include WiFi and room service. It's Clean and Spacious. The Free Shuttle Bus is A Big Help to Hotel Residents. I Suggest , just like other Hilton Hotels, there should be free 2 Bottles of Mineral Water , and a Complimentary Coffee and Tea Every Day. But In General , Service is Good. Specially the Front Desk, they are Very Helpful. A number of issues in the room...dust and hair being the most disappointing. Hi C, Thank you so much for taking the time to give us your feedback. Your concerns are very important to us and we'll be addressing the challenges you experienced with the appropriate departments. Cons: For me - a fridge in the room and a microwave on site so that you can either warm food or cook pop corn which is my desire. This hotel was quiet, not sure if it was due to the X-mas holiday. The exercise equipment is top notch and very easy to use. The hotel is very modern and set back from the main street. The rooms are very well maintained and clean. The bed feels as though you are laying on a cloud, if you could image that. My only cons would be 1. that there be a fridge in the room and 2 that there was a microwave in the building. As this is more of a business class hotel I understand why the two items mentioned are not on hand. The food was tasty but a tad bit pricey, but heck it sure beat going out. This is a marvelous hotel and look forward to staying again on my next visit to VA.
Cons: Provide free wi-fi to everyone. Location: excellent location in Tyson's Corners. I was shocked that the Hilton made you pay for W-Fi if you booked through Travelocity. Even though I am a Hilton Honors member they made me pay extra for wi-fi in my room. Because I had booked through Travelocity (and not Hilton directly) Travelocity should be aware of this ridiculous policy. Very reasonable rate, friendly staff, very clean. The shuttle was very convenient to take you to the metro station or anywhere within a mile which included a large mall with lots of restaurants. The hotel gave me a # to text when I needed the shuttle, it was great & so easy. The hotel overall was very nice. Rooms were clean, staff very nice. But the beds were very uncomfortable. Pros: Just about everything. Nice central location, however you must drive to even a convenient store. Location: it is DC....plenty to do. The staff was nice,room great, restaurant good but worth the money charged. I had a phone get destroyed and fedexed to the hotel. It was signed for at 10am but I could not get it until after 5pm. I figured it had to go from an office to front desk. The overall stay was excellent and I would happily stay again. The room was very clean and open feeling. The food was good and the people were nice. Good place to stay if you want to stay in your hotel and eat. If you want to walk around not much around there to do, you have to leave in your car to go somewhere. Would definitely stay again. My sister & I stayed there for 3 nights in August, and we had absolutely no complaints. Our 9th floor room was clean, beautiful & quiet, parking was free & convenient, & the bus stop to the metro was right out front. Every employee was pleasant and helpful, & the food was awesome. The restaurant has a wood burning oven, and their flatbread was to died for! The lobby bar in the atrium was very welcoming, whether we wanted to perch on a stool, or sit on a couch by the TV's. The whole place was gorgeous! 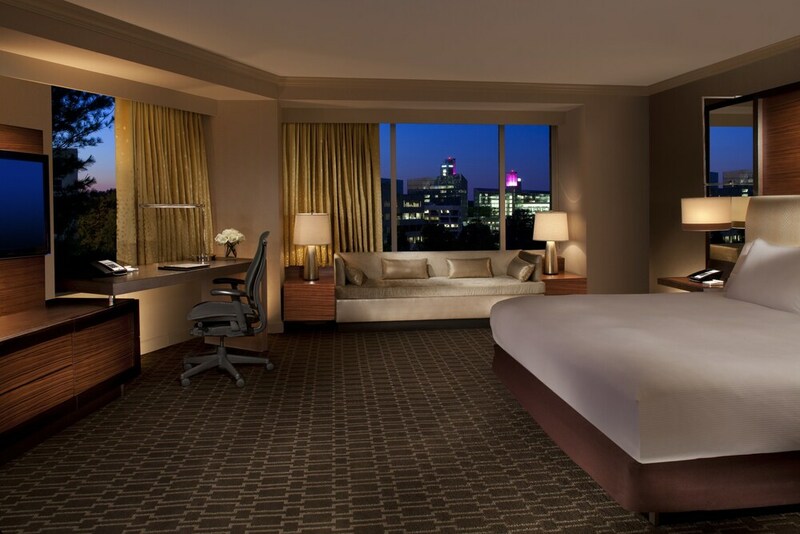 Hilton McLean Tysons Corner offers its guests an indoor pool and a 24-hour fitness center. There's a restaurant on site, as well as a coffee shop/café. You can enjoy a drink at the bar/lounge. Public spaces have WiFi and wired Internet for a fee. You'll find a 24-hour business center on site. A terrace, multilingual staff, and a garden are also featured at the business-friendly Hilton McLean Tysons Corner. An area shuttle within 2.00 mi and a shopping center shuttle are free. Self parking is free. This 4-star Tysons hotel is smoke free. 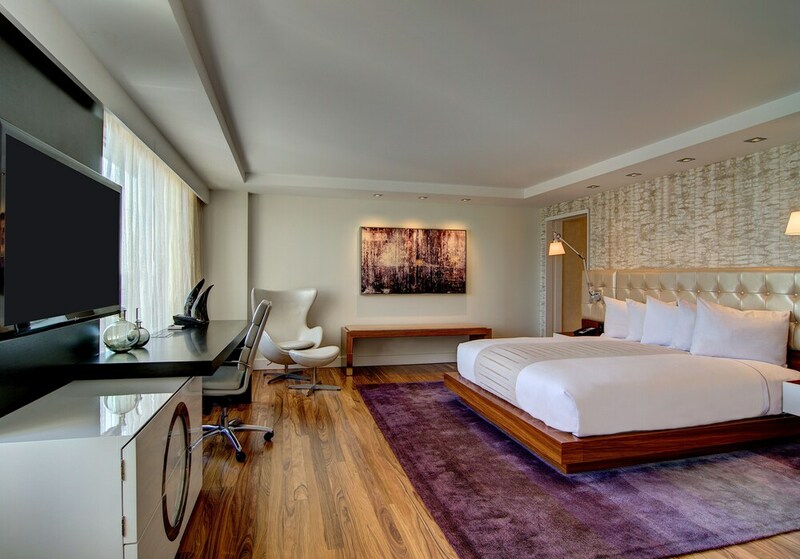 Hilton McLean Tysons Corner offers 458 air-conditioned accommodations with complimentary newspapers and complimentary bottled water. Pillowtop beds feature down comforters and premium bedding. Televisions come with premium cable channels and pay movies. Guests can make use of the in-room refrigerators and coffee/tea makers. Bathrooms include designer toiletries, complimentary toiletries, and hair dryers. This Tysons hotel provides wired and wireless Internet access for a surcharge. Business-friendly amenities include desks and phones. Additionally, rooms include irons/ironing boards and blackout drapes/curtains. Housekeeping is offered daily and hypo-allergenic bedding can be requested. Harth - This restaurant serves breakfast, lunch, and dinner.